Count your blessings this Christmas with things we enjoy in Singapore that are often overlooked. Thank you to all participating schools who made FOS, WFK, SKF Jr and KBA 2018 Awards Ceremony a success! We couldn't have done it without you. See you all again next year! Venue Partner: Our Tampines Hub Partners: National Book Development Council of Singapore, Girl Guides Singapore, The Singapore Scout Association, St. John Ambulance Brigade, Singapore National Cadet Corps, Pro-Teach Education & YMCA Of Singapore Tag yourselves! Pro-tip: Try not to call your date names at the slightest hint of rejection. Wish to volunteer and help the seniors in your community? Join Have You Senior Heart ? in their community outreach event with many fun activities, lessons and treats available and open to all FOR FREE! Make this Children's Day more meaningful with Singa! Get 25% OFF all purchases made at The Kindness Gallery from 14 September - 1st October 2018, with a minimum spend of only $20! Shop now at https://thekindnessgallery.com/ or in-store at 61 Stamford Rd, #01-08 Stamford Court, Singapore 178892. This 8th Sep, join in this family friendly storytelling session with fun songs, craft activities and illustrations for children. Let’s be inspired to choose kindness! Find out more below. Guide Dogs Singapore Ltd warmly invites you to join in a fun-filled day to learn about visual impairment (VI) and guide dogs in Singapore through engaging activities, exhibits and demonstrations! Give your support to empower these clients with VI to be independent and live life to the fullest. Check out EDM below for program line-ups and more details! This August, SKM is pleased to work with Starbucks Singapore to launch a month-long Kindness Cafe in one of its outlets. Can you guess where? The cafe will be decked in friendly kindness quotes and reminders, in line with #BeGreaterSG. You can even take a photo with Singa! 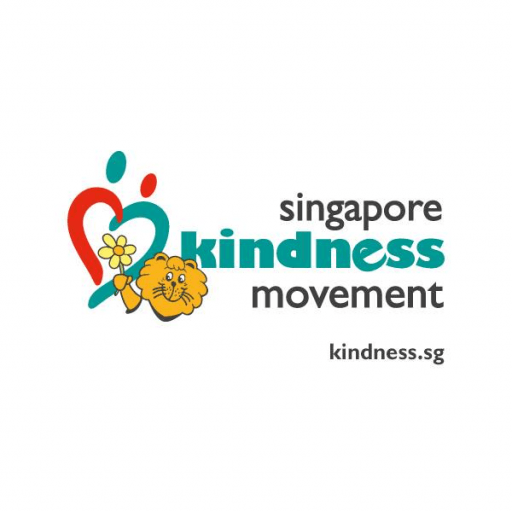 Considerate customers who display kindness will be identified by the staff, who will, in turn, reward them with exclusive campaign memorabilia designed by both Singapore Kindness Movement and Starbucks. As one of Starbucks’ core values is to create a culture of warmth and belonging, the Kindness Cafe seeks to remove customers’ inhibitions to be kind and be greater. Ageing with strength to conquer mountains. Go for your mountain, be greater! #BeGreaterSG Find out more on scaling Mount Faber with our seniors: https://goforyourmountain.com/ Sign up now as all followers of SKM get to enjoy a 10% discount using discount code "GOGYM10" during registration. Complete the CLUB Cubbie Kindness Task found in Kindsville Times Issue 2 together with your family and head down to Splash @ Kidz Amaze this weekend for a day of fun! See you there! At the newly re-vamped Kids STOP Singapore this September, Singapore Kindness Movement together with KidsSTOP™ will be presenting “One Kind of Science” Musical. Let your kids experience a musical that not only teaches them about science, but also about kindness too! Early bird tickets are now on sale here.